Where would we be without breakfast? Well, most of us would be dragging our feet, slogging through work and feeling miserable by the time lunch rolled around – and good luck trying to hit the weights hard without breakfast! It’s a cliché, but there are good reasons that breakfast is labelled “the most important meal of the day”. Research shows that starting your morning off with a healthy breakfast (“healthy” doesn’t include cold pizza or rainbow-coloured cereals) can improve concentration and cognition, increase physical strength and stamina, and help ensure you’re eating a well-rounded diet that contains all the nutrients you need for optimal health and recovery. The only downside of preparing a nutritious breakfast every morning is how long it takes. Between washing and drying, grooming and shaving, and dressing and driving, who has the time to whip up something that satisfies the palate and nourishes the body adequately? But fear not young bodybuilder (or whatever age you may be) – because 6 quick and easy breakfast ideas are here! If you’ve been wondering what to eat for breakfast, or you’re simply looking for a faster way to prepare your first meal of the day, then this article is your solution. Mix instant oatmeal, whey powder and cinnamon in a bowl. Add hot semi skimmed milk (or microwave as directed on oatmeal packet) and mix to desired consistency. Combine all ingredients in a large bowl. Stir until mixed. Ladle batter into a hot griddle or pan. 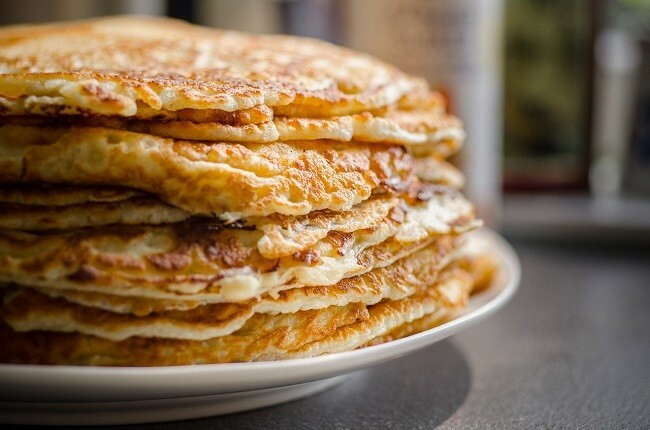 When batter hardens around edges and bubbles, flip over. Serve hot, either plain or with low-glycaemic syrup. 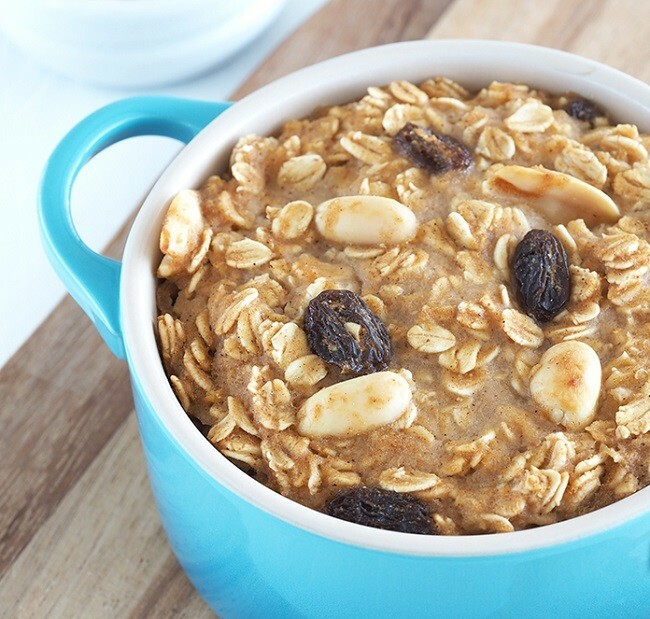 Cook oats with almond milk or water. Add egg whites. 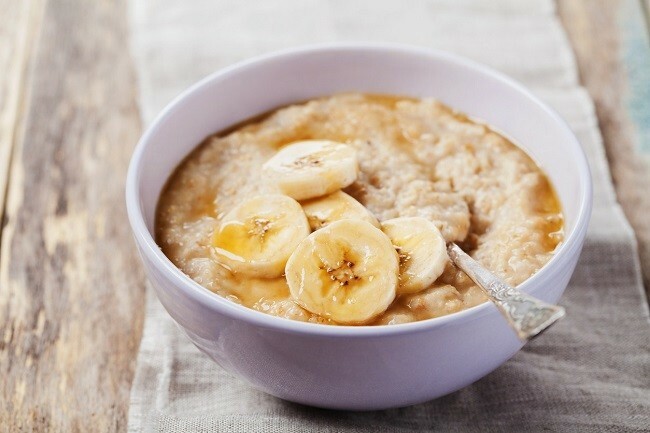 Cook until oats turn creamy. Remove oats and egg whites from heat. Allow to cool a bit. Add whey powder. Add cinnamon raisin peanut butter. Top with sliced banana and serve hot. *To make cinnamon raisin peanut butter, mix plain peanut butter with powdered cinnamon, raisins and your preferred sweetener. Peel and chop onion. Sauté in large pan for 2 to 3 minutes. 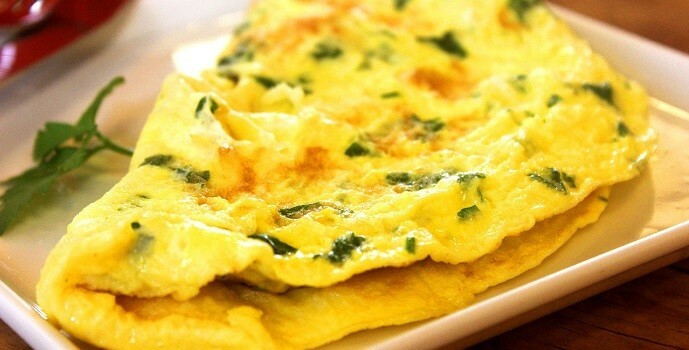 Now add the whisked eggs – Cover until eggs are fully cooked. Serve hot with salsa, tomatoes or grated parmesan cheese. Soak bread in eggs and milk. Place bread in pan. Fry until golden brown. 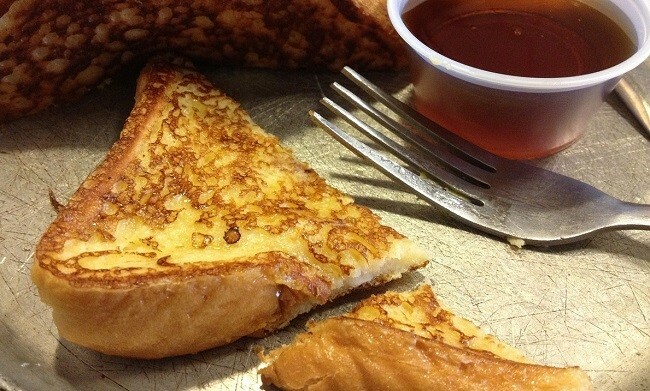 Serve hot with syrup and cinnamon. 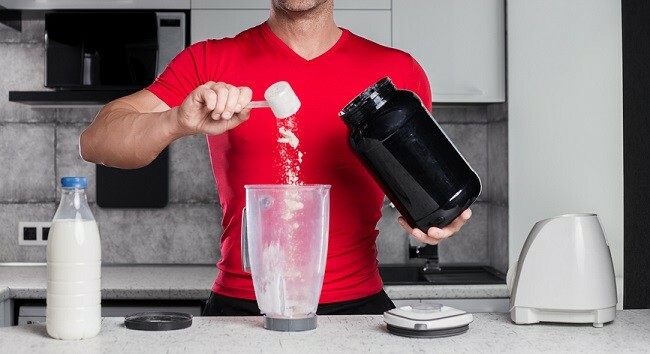 If you’re really pushed for time – or just don’t want to go through the process of creating a full breakfast meal – then a good old protein shake will get the job done! In fact, there are specially formulated powders containing blends of proteins and carbs for the perfect ratio of morning macronutrients to fuel your body and feed your muscles. Any good whey protein shake will do, but make sure to mixed with milk instead of water as this will increase the nutritional profile of the sake. There’s really no quicker way to get a fast intake of quality protein when you wake. As you can see, these recipes provide a healthy amount of protein – up to 55 grams per serving. Most contain some healthy fat, and a decent amount of carbohydrates to fuel you through the morning – whether that entails getting ready for work, taking the kids to school, hitting the gym early – or all of the above! If you’ve slacked off about making breakfast lately, you should become reacquainted with your kitchen. It won’t take a great deal of time, money or effort – a few simple ingredients and some basic utensils are all that’s necessary. There’s no longer an excuse for not getting a delicious and nutritious breakfast in every morning. Bored to death with your current breakfast routine? Try rotating between these 6 protein packed bodybuilding breakfast ideas each week!